Kate McKinnon, my imaginary friend, what can't you do? We all know McKinnon does an amazing Justin Bieber, Ellen, and Jane Lynch, but perhaps one of Kate McKinnon's best SNL impressions is Ruth Bader Ginsburg. Reasons why this impression stands out: one, she slays it. Seriously, she's hilarious and completely enthralling when doing the impression. Two, because it's RUTH BADER GINSBURG. So with that, I'm officially starting a petition to get these two women to meet up and have every moment of it filmed for our enjoyment. RBG wasn't just swinging by Weekend Update because she wanted in on Colin Jost and Michael Che's awkward dance around Bruce Jenner coverage, she was there to talk about the Supreme Court hearing on marriage equality. 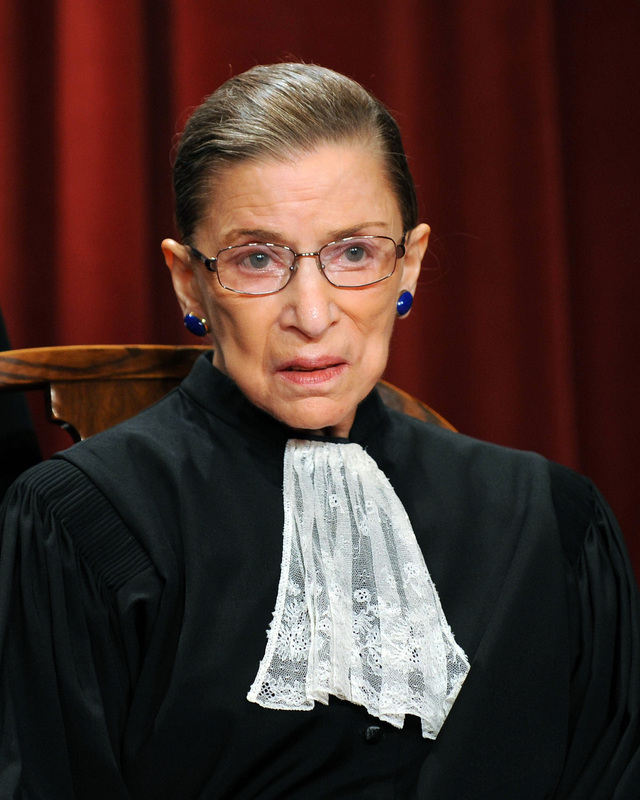 According to RBG, the hearing was a snooze, and next time she is called to one of them, she's going to just put a crumpled up black cocktail napkin on the chair, because no one will notice it's not her. Amazing. I love me some RBG, I love me some Kate McKinnon, so I can't stress this enough... SNL, you rock, don't ever change (the RBG coverage). It's hilarious, it's newsy, it's RBG.